This entry was posted on March 13, 2019 by danny. We no longer carry or support this model, so you would need to contact the website of the manufacturer for inquiries regarding available firmware or software to unlock it. I have a TH-8600 by TYT. It is locked. Do you know how I can Unlock it? When you say it is locked, do you mean it is locked to amateur radio frequencies? If so, at last check it is only Part 15 type accepted by the FCC, which means it can only be used to transmit on amateur frequencies. 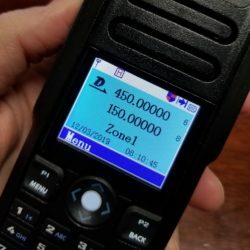 We no longer carry this model, so you would need to contact TYT for the software to unlock it to receive on frequencies outside the amateur radio bands. Keep in mind that if you choose to do so, you do it at your own risk. I got an md 380 from you about 3 weeks ago. I am away from home and cannot check the version to see if I can unlock it. If I need the special software do you have it available for download? Hi George, try the procedure outlined in this article first. If it doesn't work, contact us when you return home and we will be happy to help.